The British director Ken Loach will be 80 years old in June, and he has worked in film and television for more than 50 of those years, but with his bone-deep empathy for the desperate and the downtrodden, you may feel that he was almost put on earth to make a dramatic feature about the current economic moment. 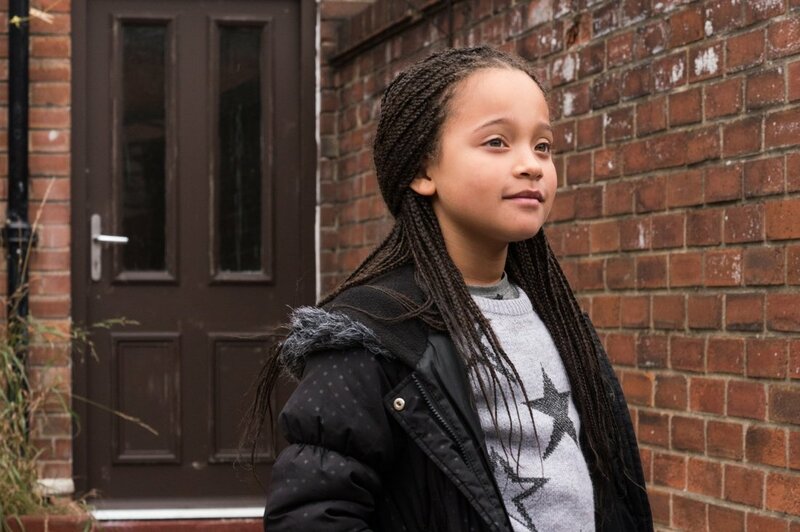 “I, Daniel Blake” is one of Loach’s finest films, a drama of tender devastation that tells its story with an unblinking neorealist simplicity that goes right back to the plainspoken purity of Vittorio De Sica. The tale of Daniel Blake (Dave Johns), a 59-year-old carpenter from Newcastle, who is fighting to hold on to his welfare benefits, even though his heart condition forbids him from working, is one that’s sure to resonate across national borders, because it’s about something so much larger than bureaucratic cruelty (although it is very much about that). It captures a world — our world — in which the opportunity to thrive, or even just survive, is shrinking by the minute. With the right handling, the movie has a chance to connect with audiences as few Loach films ever have. It’s a work of scalding and moving relevance. Daniel, whose grizzled pate and washed-out pallor make him look much older than he is, has a way of barking at folks he doesn’t like, but really, he’s the soul of crusty friendliness. A widower with no children, he has recently suffered a heart attack and receives an Employment and Support Allowance from the British state. But then, for no good reason, his benefits are denied; the state wants him to go back to work — even though his physician is on record as saying he can’t. The movie takes us through the agony of the appeals process, which is a much bigger nightmare than it sounds like, because all Daniel is trying to win is the right to an appeal. He’s forced to jump through hoop after hoop, to hurry up and wait, and some of the demands are so unreasonable (he mustn’t just spend 35 hours a week applying for jobs he couldn’t take anyway; he must prove that he did) that the inescapable conclusion is that the system, as rejiggered by conservative government forces, has been engineered to toss people off the welfare rolls. It’s designed, in no small part, not to work. The battle to keep those benefits, without which he’ll literally be out on the street, may be even more Sisyphean in Daniel’s case, because as an old-school carpenter with almost no formal education, he’s a lost relic in the digital age. “I’ve never been near a computer,” he says, and while such confessions bring nothing but scolding contempt from the clerks in the welfare office, the audience looks at Daniel and, indeed, sees a man — you may have at least one relative like him — who lacks the consciousness to evolve with technology. Daniel is forced to take a class in how to draw up a CV, but even then, he writes it out in longhand – which inspires the film’s most cutting welfare official, who’s like a Kafkaesque version of Jane Lynch, to look at that piece of paper as if it were a scroll of shame. The main thing Daniel learns in the class is that there are dozens of people applying for every low-wage job. In other words: Why even bother? In the welfare office, Daniel spots a woman in a similar predicament, and being the Samaritan he is, he tries to help Katie (Hayley Squires) and her two kids get set up in their new flat. They’ve been squeezed out of the newly gentrified London, with no money and no prospects, and the four begin to hang out, because they have nothing much else to do. Yet in their way, they form a ragtag surrogate family. Squires has a dark-eyed beauty, yet her performance is so emotionally addled with dissolute worry that when we look at her, all we see is her stressed-out sadness. She’s a woman who has stopped being; she is merely existing. She literally cuts down on what she eats to have the money to feed her kids, and when she’s shopping at the government food bank and compulsively tears the top off a can of beans, dripping the syrup into her mouth, it’s a tearful epiphany — a fusion of hunger and degradation. It’s literally what she’s been driven to. If “I, Daniel Blake” had been made 20 or 30 years ago, the personalities of those in the welfare office might have been more colorfully villainized. But the film’s despair arises out of its perception that it’s the whole impersonal system that’s to blame. The layers of bureaucracy, which have only been added to with the Internet, are designed to wear people down. Johns, in a powerful performance, gives Daniel a plucky decency but a lonely anger underneath that simmers until it needs to explode. Daniel works to give the system every benefit of the doubt, until it insults his very being, at which point he has an impromptu “Attica!” moment. But it’s only a moment. The quiet beauty of “I, Daniel Blake” — the reason it’s the rare political drama that touches the soul — is that we believe, completely, in these people standing in front of us, as Ken Loach and the actors have imagined them. And when the movie ends, we feel like we won’t forget them.